NEW YORK, Jan. 23, 2017 /PRNewswire/ -- Immune Pharmaceuticals Inc. (NASDAQ: IMNP), "Immune", a clinical-stage biopharmaceutical company developing novel therapeutics for the treatment of immuno-inflammatory diseases and cancers, announced today that it has entered an exclusive sub-license agreement with SATT Sud-Est, a French Technology Transfer Office, to develop, use, manufacture and commercialize mono- and bispecific antibodies targeting components of the tumor microenvironment and angiogenic factors. The research program will be carried out under the responsibility of Inserm, CNRS (National Center for Scientific Research), UCA (University Cote d'Azur), CSM (Scientific Center of Monaco), and Immune Pharmaceuticals. The research project is based on a novel technology platform for production of tetravalent IgG-1 like bispecific antibodies, developed by Dr. Jean Kadouche, Scientific Co-Founder of Immune, with a European academic consortium under a European commission grant. This collaboration will leverage the scientific and technological expertise of several world-renowned scientists, and will be led by Prof. Gilles Pagès, Principal Investigator in the Institute for Research on Cancer and Aging of Nice, (IRCAN) France, an expert in the field of cytokine biology and tumor angiogenesis. Immune will fund the development of the bispecific program, including the tumor microenvironment project, through its subsidiary Cytovia Oncology Inc. "The targets of these bispecific antibodies are the well-known Vascular Endothelial Growth Factor (VEGF) and cytokines of the IL-8 family that drive autocrine proliferation loop in tumor cells, inflammation and angiogenesis. 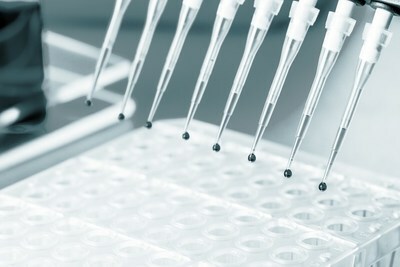 These antibodies are the first to inhibit at the same time the processes involved in tumor development and metastasis. Our preliminary results in models of renal cell carcinoma are encouraging" said Pr Gilles Pagès. Dr. Daniel Teper, Immune CEO stated: "This research collaboration is focused on the discovery and development of innovative bispecific development candidates, which will complement our existing immune-oncology pipeline and strengthen our potential to enter into partnerships with other biopharmaceutical companies."